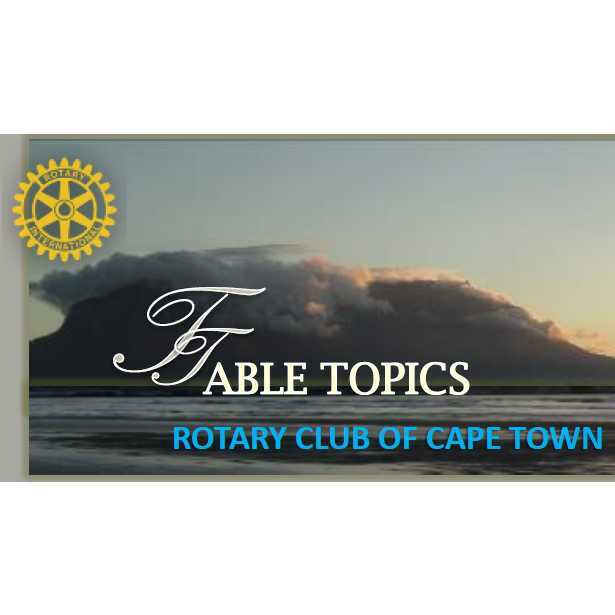 In a recent article published in the Rotary Club of Cape Town newsletter 'Table Topics' President Johan March, said "What an amazing evening we had with our DG Lynnette and AG Mechtild visiting our club. To top it off we were blessed to have our friends from our neighbouring club Cap des Tempetes with us. The atmosphere and happy energy in the room was contagious. If we could just prolong such positive energy and feelings of being happy." What better way to end the 1st part of our MAD 2017-2018 Rotary year than with the oldest club in D9350. It was truly a beautiful venue (oh those yachts! ); the food was fresh and tasty and well presented then of course the company was superb. Yet proof again of what really, really nice people Rotarians are. I loved the international feel of the evening – from the Netherlands; Germany; Switzerland; France; Congo; Belgium. Not to forget our own South Africans. We are truly part of an international family! You and your club made me feel very special – thank you. And thank you for the added bonus of letting the small but elegant Rotary club of Le Cap des Tempestes join in the DG event. That is so Rotary – together we make an even bigger difference. Just look at what a difference you made to Le Cap by supporting their tree planting project. Huge thanks and I will definitely visit you again in 2018 – to celebrate your citation!